2-Hump Bike Rack The 68 Gal. Steel Recycling Station features a heavy-duty construction that resists wear and tear from being outdoors. This heavy-duty receptacle comes fully assembled and ready to install. The steel components receive corrosion protection from a Zinc Rich Primer. The Primer is applied as an Epoxy Powder Coat after the metal components are sandblasted. This is followed by a durable Polyester Powder Finish Top Coat. Both coatings are electrostatically applied and then thermally cured creating a premium look. Backed by a 3-year warranty, this unit is built to last. 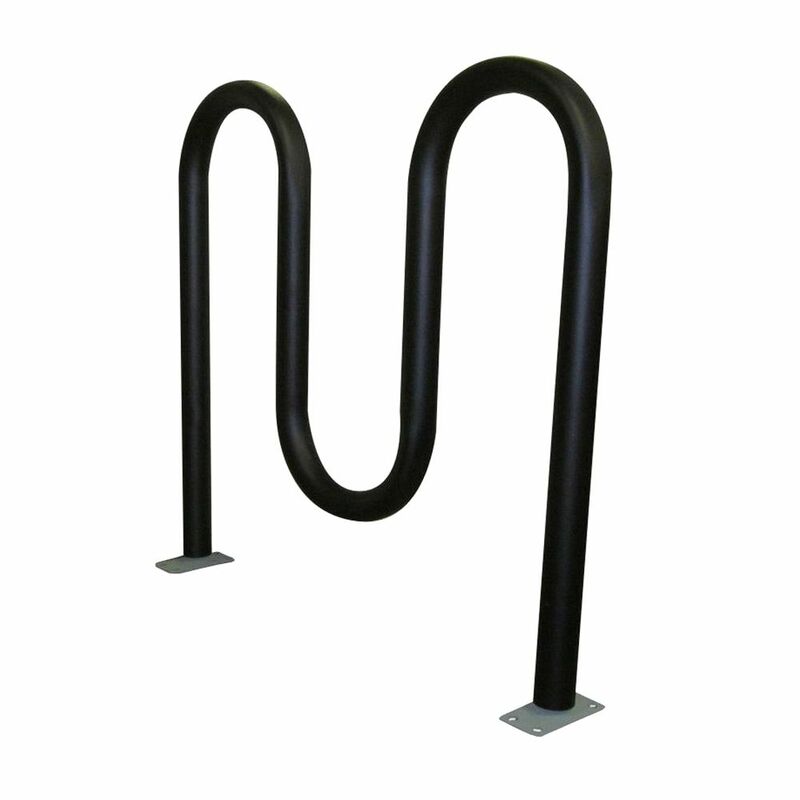 2-Hump Bike Rack is rated 4.3 out of 5 by 6. Rated 1 out of 5 by Matt from Wave racks are not acceptable according to generally accepted bike rack design guidelines now. Th... Wave racks are not acceptable according to generally accepted bike rack design guidelines now. They only support each bike at one location and thus aren't stable. Please see APBP.org for acceptable bike parking styles and placements. Rated 5 out of 5 by BuildingOwner from Better than expected actually Purchased for use at a small apartment building. The concrete wedge anchor bolts included were heavy duty decent quality. The steel tubing used is also decent quality and heavy duty with a high quality baked on finish. NOTE: The mounting hardware is standard philips srews/nuts/bolts. It would be possible to remove the bike rack from the mounting brackets and slide any locked bikes off. Great value, looks professional and well built. Rated 5 out of 5 by Anonymous from Perfect Placed at an 8 unit apartment and installed easily with included cement anchors. Should last many years. Very sturdy. Rated 5 out of 5 by smathy from Simple, robust, works as advertised. Easy to install, very robust, didn't scratch as easily as I'd feared and as you can see I've got four bikes nicely nestled in place.